October 7, 2013 – The National Business Aviation Association (NBAA) released a letter the Association has sent to congressional leaders and President Obama outlining the grave repercussions of the government shutdown on all aspects of the general aviation (GA) industry, including the purchase and use of small GA aircraft for business transport. On October 1, 2013, a government-wide shutdown went into effect, leading to work furloughs for hundreds of thousands of federal employees, and impacting services provided by nearly all government agencies. While the shutdown has not impacted basic aviation safety services, it has had a particularly intense impact on many aspects of business aviation, because it is an industry that is more regulated than other industries. As the shutdown unfolds, its effects are rippling across an essential American industry, which benefits citizens, companies and communities across the U.S. This content details what is known about the shutdown’s impact on business aviation, what actions NBAA is taking to bring the situation to the attention of Washington policymakers, and what steps NBAA Members and others in the business aviation community can take to support NBAA’s efforts in this regard. As just one example of the shutdown's impact on the industry, Bolen's letter specifically outlines how it has resulted in a halt in the purchase, sale and production of all new general aviation airplane parts or aircraft, given that none of those things can occur without the written approval of the federal government, which operates out of the Federal Aviation Administration's (FAA's) Aircraft Registry in Oklahoma City, OK. The shutdown has led to the closure of the registry, even though, according to FAA data, more than 10,000 aircraft registrations expire each month, and these registrations cannot be renewed while the registry is closed. As a result, the government shutdown is effectively grounding the general aviation industry, severely jeopardizing countless jobs, and America's economy and infrastructure. In addition, many entrepreneurs and companies of all sizes rely on the airplanes for business flights, as do communities, for critical services including medical transport, mail delivery and fire fighting. 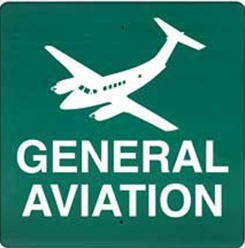 General Aviation is an industry that is heavily regulated by the federal government. General aviation aircraft and parts can’t be produced, financed, bought, or sold without the written approval of the federal government. In some cases, an aircraft can’t even move without federal approval. For decades, the United States has been the world leader in every aspect of general aviation from production to operation. It is a key part of our nation’s manufacturing base and is one of the few industries making a positive impact on our balance of trade. It is also predominately an industry of small businesses. In every corner of America, small companies sell fuel, build hangars, and broker airplane transactions. Over 1.2 million Americans owe their livelihood to general aviation. The government shutdown is quickly strangling one of America’s most significant but fragile industries – general aviation. The impact of the government shutdown is wide reaching and evolving. This information will be updated as NBAA Members and other aircraft operators submit impact reports to NBAA. By closing the FAA Registry in Oklahoma City, the government shutdown has effectively brought to a halt the U.S. general aviation industry and is jeopardizing the future of thousands of U.S. small businesses. - With the inability to register airplanes, some buyers are reconsidering their purchase decision all together and actually trying to get out of deals due to concerns about the pending debt ceiling issue. - International aircraft deals are suffering because buyers cannot import/export aircraft. With the registry closed, U.S. registered aircraft will begin to look less attractive as foreign buyers won’t be able to close transactions. - Many buyers have date specific slots for aircraft repairs/modifications right after the deal closes. With the registry closed, buyers will likely decide to delay or postpone these upgrades all together. - If the buyer is planning to obtain financing, the finance company only guarantees interest rates/terms for a certain period, with the Registry closed these financing agreements will expire. - Any transactions using like kind exchanges (1031 exchanges) will be threatened as there are specific timeframes regarding FAA registration that must be met in order to complete the exchange process. - Airplanes that had modification work done which included a new tail numbers/registration are now grounded at maintenance facilities because FAA cannot process the registration. - According to FAA data, 10,000 aircraft registrations expire each month- this means all aircraft with registrations that expire in October will be grounded. - Aircraft that are operating with a “pink slip” or fly wire will be grounded once those items expire (generally valid for 90 days). - Flight Standards District Offices (FSDOs) are effectively closed to operators – commercial and non-commercial alike – who require FAA authorizations to conduct specific operations. - Training Center Evaluator (TCE) qualifications have expired/are expiring – leading to grounded pilots. - Dozens of training center evaluators’ qualifications have expired. At the end of the October, several hundred additional TCE’s qualifications will expire making it impossible to schedule or conduct critical training activities. This will impact the entire US aviation system as both initial and recurrent qualifications for full flight simulators have been cancelled and will be cancelled as the shutdown continues. The lack of simulation resources will further impact the flight training industry’s ability to train pilots. Review a letter from eight aviation organizations to the FAA Associate Administrator for Aviation Safety. - FAA Has Halted Knowledge Tests. - NBAA has learned that FAA testing sites received notification stating that aviation knowledge testing must be halted after Friday, Oct. 14, 2013. - The U.S. needs to be responsive to registry inquires from other countries due to treaty obligations, with the registry closed we cannot meet these obligations. - The FAA Registry needs to have current and accurate information on all aircraft for safety, security and law enforcement reasons. With the registry closed these requirements are not being met. - The FAA Registry has already seen its staffing levels decreased, the backlog created by this shutdown will take a significant amount of time to process. CBP is affected only with overtime arrivals, much like what happened with sequestration. Operators should communicate directly with their port of entry to clarify any local port impacts on proposed arrival times, especially if the operation proposes to arrive after normal business hours.